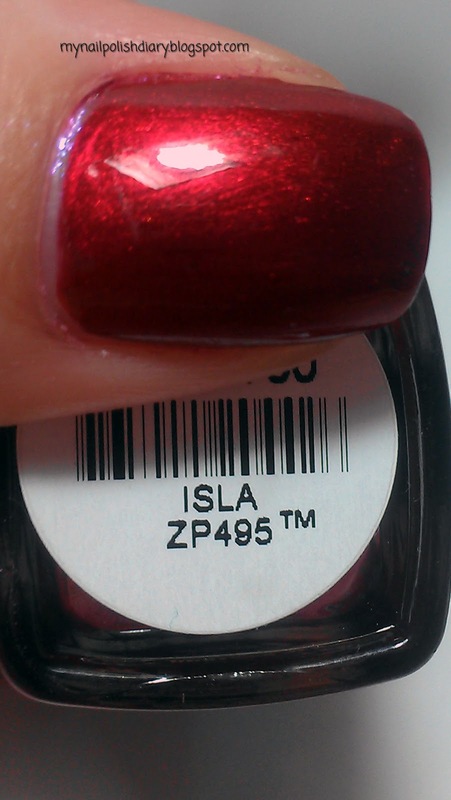 Zoya Isla is perfect for Christmas time! 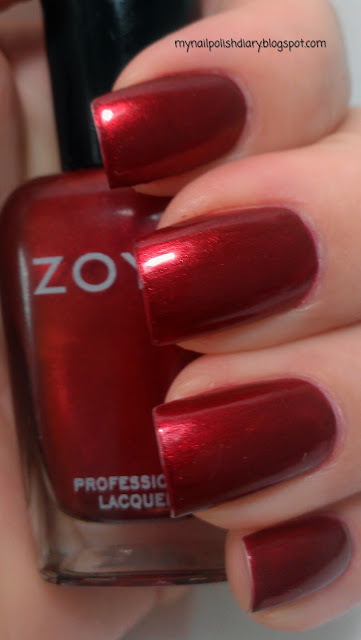 Zoya Isla from the 2009 Truth Collection is a deep shimmery red that works perfect for the Christmas holiday season. It's one of those shimmers that seems to glow from within. I got so many compliments on this! I've worn this a few times already and I can guarantee I'll be wearing it again before Christmas is over. I've learned that with Zoya, if I use their Anchor and Armor I get better wear time. I used to use SV and as I've come to find out, they don't play well together. I would get chips the same day I did the mani. For my QDTC I use Poshe with Zoya.